A particularly interesting discussion at Huawei Connect 2018, held in Shanghai, China last week, revolved around the ten factors that the company believes are needed to realise artificial intelligence. It had already offered a broad view of AI and its particular strategy to realise the benefits it could bring, but there was more intricacy to unwrap. Indeed, the prevailing question was considering all the benefits that AI can bring, why hasn’t it enjoyed a more enthusiastic adoption? 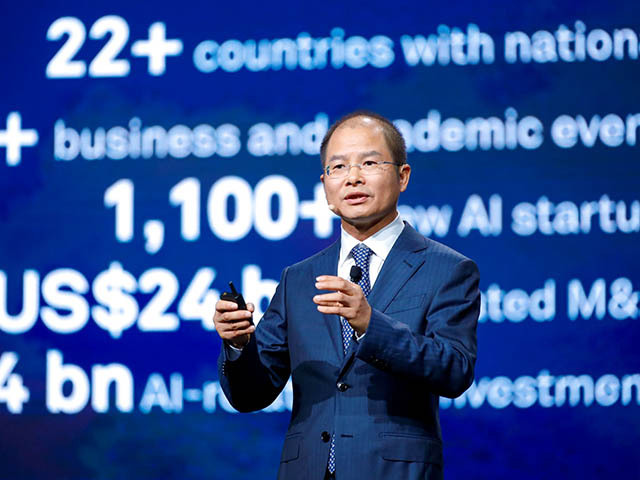 To this end, Eric Xu, the chairman of Huawei Technologies, pointed out that according to Huawei’s research, only 4% of enterprises have deployed AI, 5% of smart cities are leveraging the technology, and, as of last year, 10% of smartphones on the market were equipped with AI capabilities. Of even greater concern, he continued, the supply and demand ratio of AI talent worldwide is just 1%. In order to bridge the gap from the status quo of AI adoption, to where it can be, he stressed that three keys are needed by the technology industry as a whole - the right technology, the right talent, and the right ecosystem. Furthermore, Xu offered ten changes that need to be put in place, across those three keys, to make AI not just a fantastic potential, but a tangible reality. The first of these is accelerating the speed of model training. “With existing technology, training more complex models often takes days, if not months. Successful innovation only happens after several rounds of iteration. Slow model training seriously impedes application innovation. We believe that training should be completed in minutes or even seconds,” he elaborated. The second change may come as a surprise, as it pertains to increasing the availability and decreasing the cost of computing power. Even as it may seem that computing power is abundant and readily accessible from a cloud resources perspective, that’s not the case when looking at the kind of computing needed to run AI applications. “Computing power is the foundation of AI. Right now, it is a costly, scarce resource. While growth in computing power has been a major driver behind progress in AI, lack of readily available and affordable computing power is becoming a constraint that holds back broad-scale AI adoption. We need to provide more abundant and affordable computing power in the future,” he explained. The third change involves AI deployment. Xu pointed out that hybrid clouds have become a major cloud service model for enterprise use. Right now, AI is deployed mostly in the cloud, with only a small portion at the edge. He bemoaned that this has meant that AI has not yet been closely integrated into business environments. “AI should be pervasive. Furthermore, it should be adaptable to all scenarios, and in all cases, user privacy must be respected and protected,” he stressed. The fourth change involves the efficiency and security of algorithms, which are a driving force behind AI development. He bemoaned the fact that the majority of basic algorithms that are used today were invented before the 1980s. This has meant that as AI comes into wider use, the weaknesses of existing algorithms become more apparent. “Algorithms of the future should be data-efficient, delivering the same results with less data. Future algorithms should also be energy-efficient, producing the same results with less compute and less energy. As well, algorithms must be secure and explainable,“ he added. Xu predicted that it these kinds of advanced algorithms that will set the stage for broad-scale AI development. The fifth change involves AI automation. Xu pointed out that at present, AI projects are always labour-intensive, especially during the data labeling process. This requires so much labour, in fact, that specialised "data labeler" jobs have begun to emerge. There’s even a running joke in the industry: “no labour, no intelligence”. He stressed that moving forward, the industry must greatly increase AI automation to achieve automated or semi-automated operations, especially during processes like data labeling, data collection, feature extraction, model design and training. In the next article, the second set of changes needed to move AI forward are detailed.